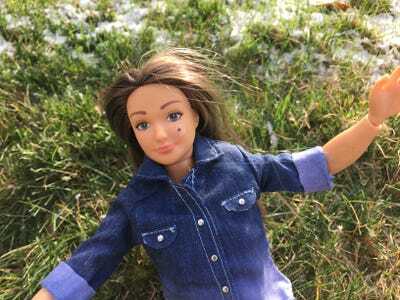 Nickolay Lamm successfully raised more than $US500,000 this year — after hoping for only $US95,000 — for his vision of fashion doll with normal human body proportions. He says the dolls, 19,000 of them, starting at $US25 each, will be shipped on Black Friday — in time for Christmas. The stickers also include modifiers like tattoos and spots, which the US-based artist hopes will help children better understand what real life is about. Lamm told Business Insider he’s got 25,000 dolls in stock at the moment, and wanted to further enhance the toys. “I feel that reality is cool and although it’s not perfect, it’s beautiful,” he says. “I feel that current dolls on the market, their bodies are just so noticeably different from what we have. I’m not a psychologist but I remember there was a time in my life when I really cared about how I looked, it defined me, it was such a bad time. Back in spring, Lamm caused waves when he talked about promoting “realistic beauty standards”. 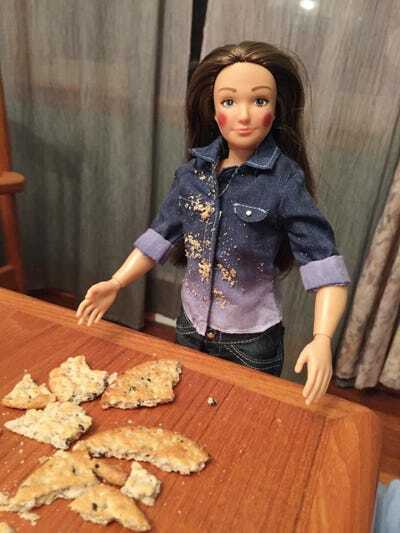 The artist feels Barbie dolls portray an unhealthy image of society and is challenging toy companies. He has a long-term vision for the project. Future accessories may include things like books, musical instruments; activities such as gardening might be made possible; her wardrobe will be improved.